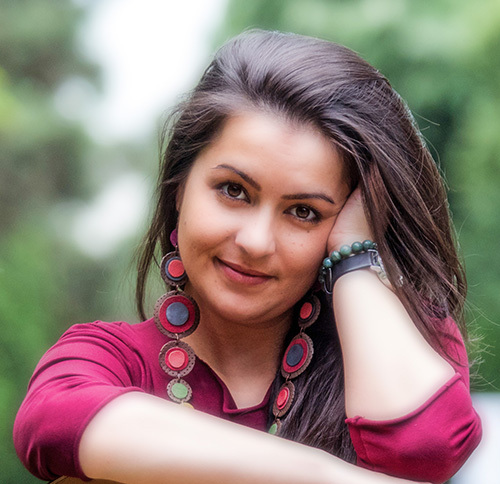 Madalina Petre began studying guitar at age 9, at High school of Arts in Constanta, road that she followed also in the University of Music from Bucharest and Conservatorio Giuseppe Tarttini from Trieste, Italy. 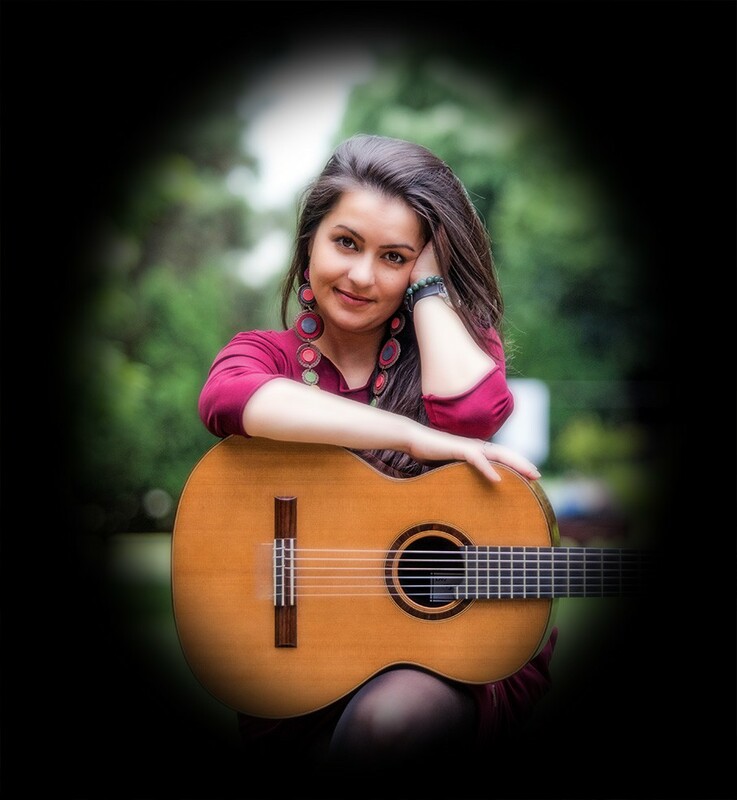 She graduated the Faculty and the Master Programme of Musical Interpretation, at the Classical Guitar Section, having Catalin Stefanescu-Patrascu and Ennio Guerrato as teachers. Her musical activity refers to various concerts in choral and chamber music formulas and most of them as a soloist. She has given numerous concerts and recitals over her studying years, being constantly preoccupied by perfecting herself and participating at master classes . Always attracted by singing she has improved her vocal skills in parallel with studying classical guitar. Approaching varied repertoire and having a big predilection for improvisation, led her to the genre which characterizes her best: jazz music. 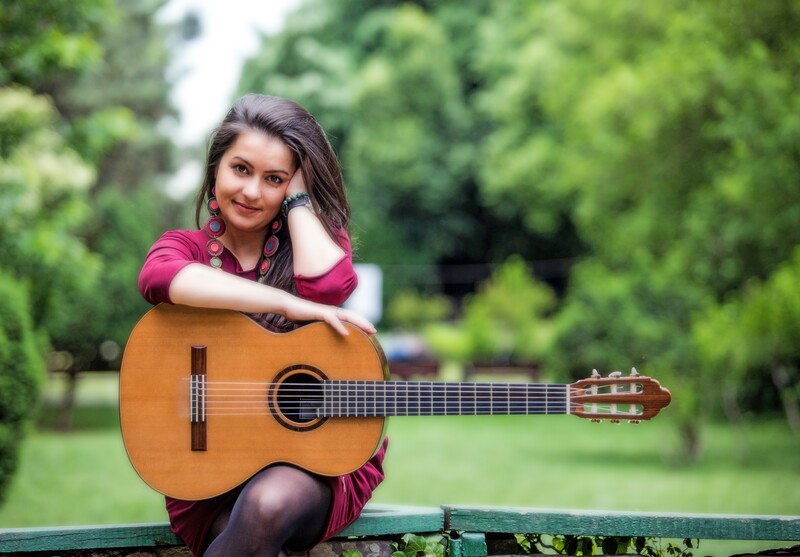 She attended: International Clasical Guitar Festival Sinaia (editions 2010; 2011; 2012;2013 and 2015 when she was invited to sustain the jazz concert as a vocalist); International Clasical Guitar Festival Targu Mures (editions 2012; 2013;2014; 2015 where she was as well the vocalist in the jazz concerts, singing with the Hungarian jazz guitarist Antal Pusztai); International Clasical Guitar Festival in Odorhei, Terra Siculorum, edition 2013; International Clasical Guitar Festival Severin edition 2014.